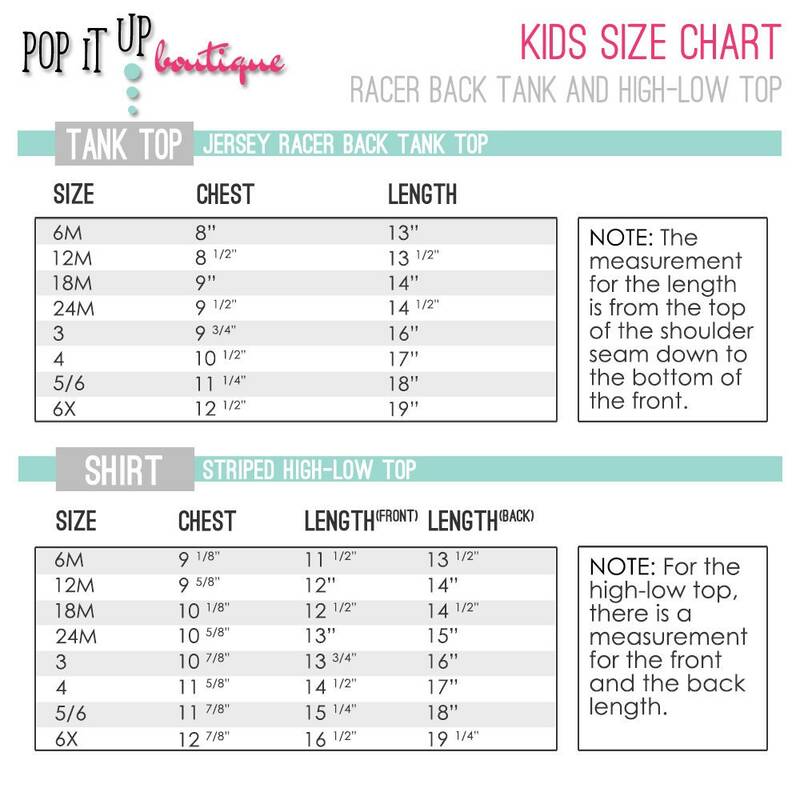 This racer back tank is sure to make your little one sparkle! 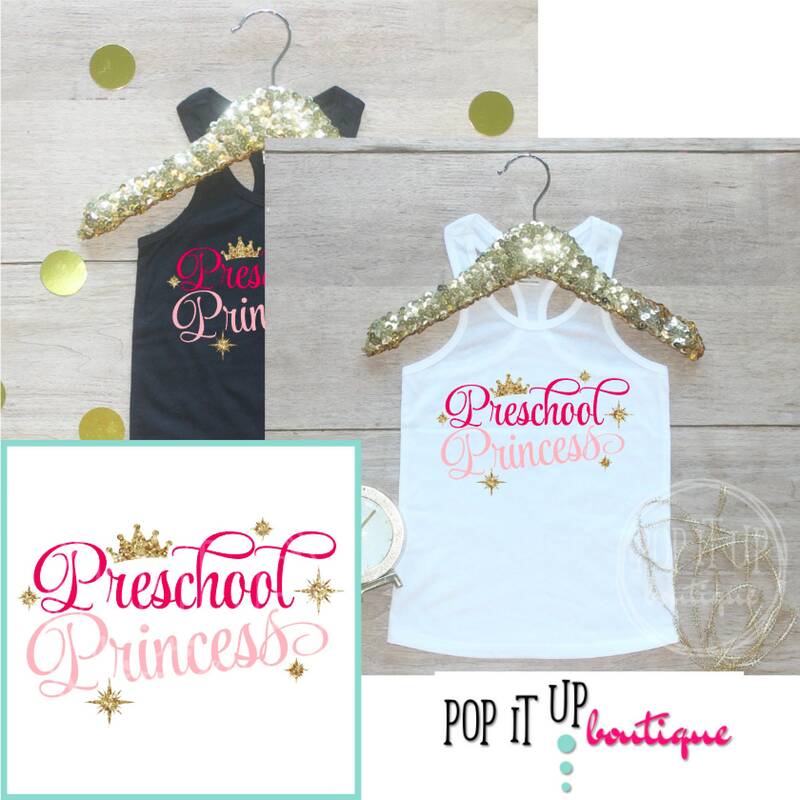 Featuring "Preschool Princess" with stars and a crown, your little one will be all set for the first day of school! 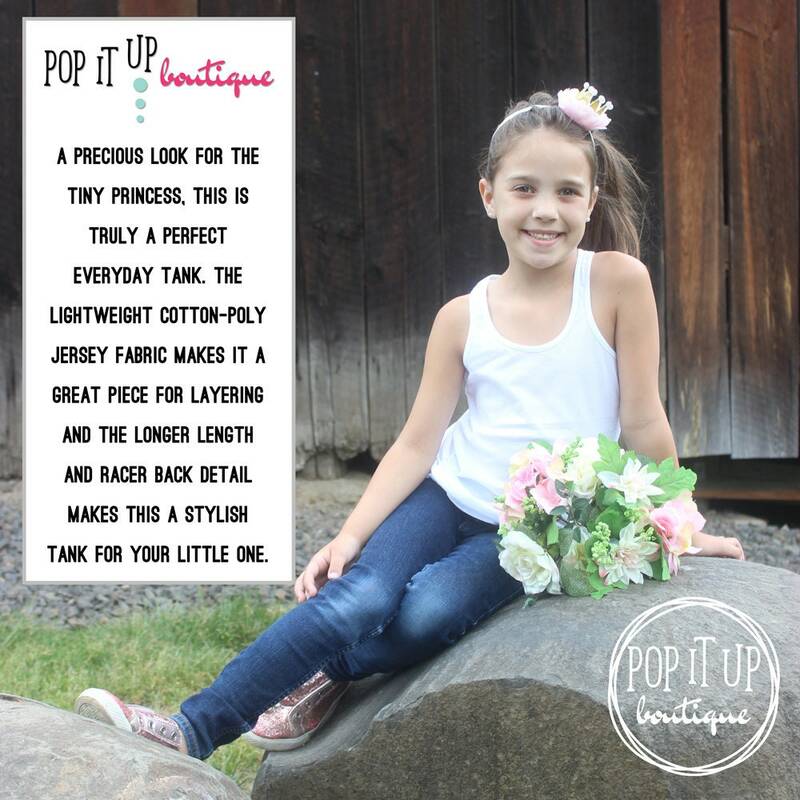 A precious look for the tiny princess, this is truly a perfect everyday tank. 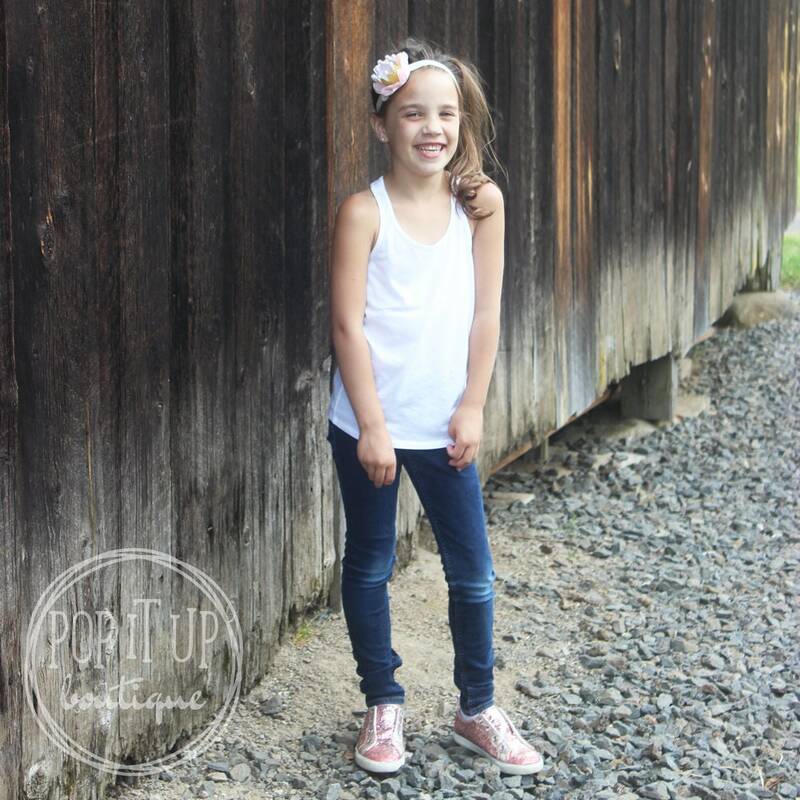 The lightweight cotton-poly jersey fabric makes it a great piece for layering and the longer length and racer back detail makes this a stylish tank for your little one. 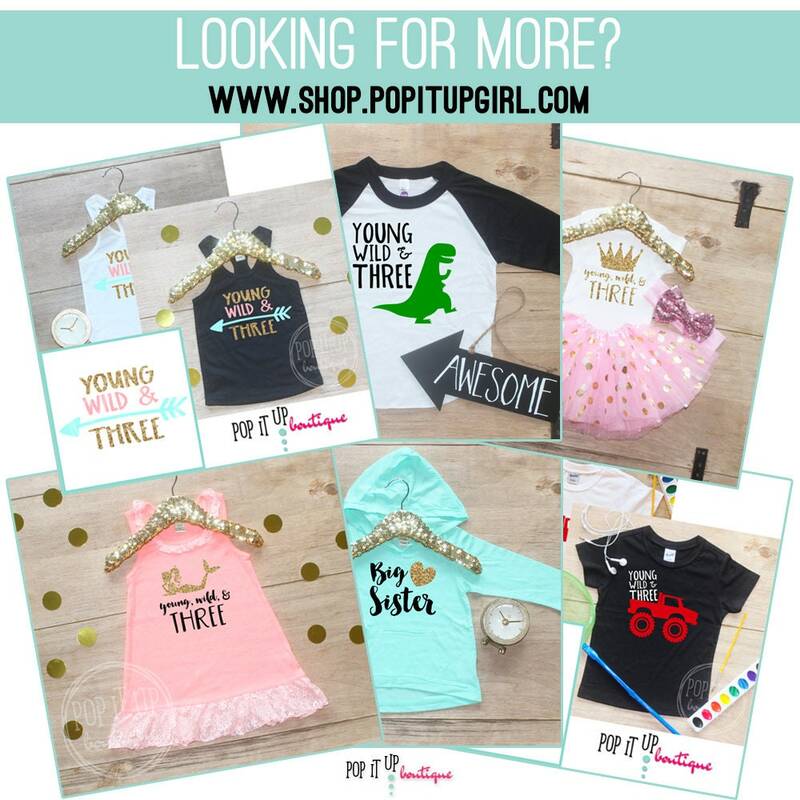 We, at Pop It Up Boutique, are all about providing high-quality items that are cute to boot! We strive to provide quality products as well as excellent customer service. 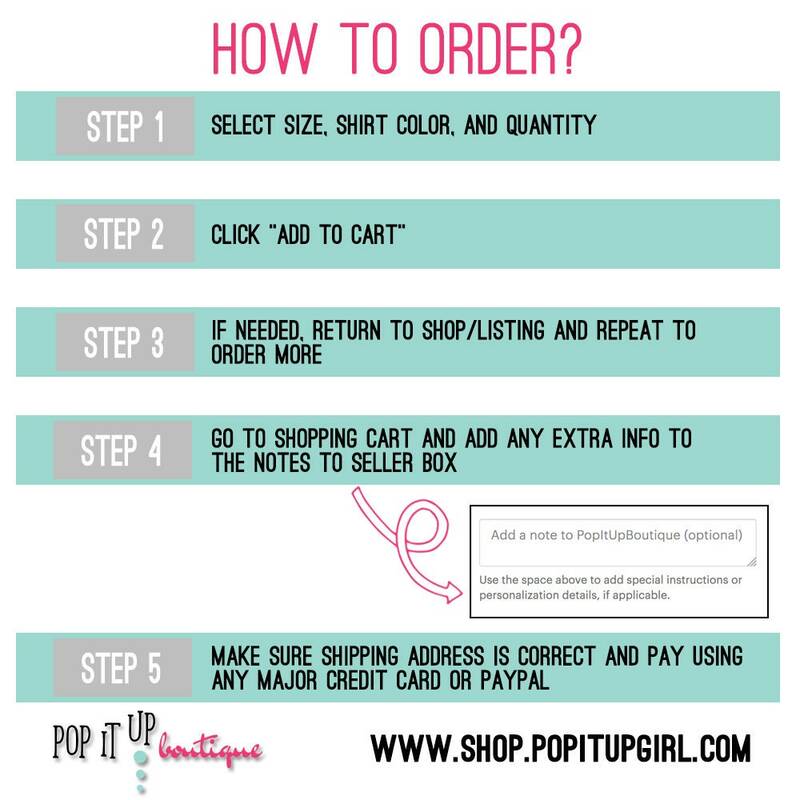 We ship orders quickly and do our best to please each and every customer!